First, there was its collaboration with cult Japanese streetwear label SOPHNET. a few months ago. Then, Supreme recently unveiled its own capsule collection with Timberland a few weeks ago. This month, it’s Shawn Yue’s turn. The actor’s own label MADNESS is releasing a new collection with Timberland. The collection comprises the iconic six-inch boots, reinterpreted by Yue himself, and two military-inspired outerwear – a Gore-Tex Cruiser and Down jackets. The idea behind the boots was simple. Yue wanted to keep the iconic silhouette while making it as lightweight as possible. So, he designed the upper with water-resistant nylon and suede leather, engineered with Gore-Tex, and adopted the Vibram Morflex wedge sole. The result is a surprisingly comfortable and light pair of boots that still retains everything Timberland is known for. It’ll keep you warm in chilly weather and dry when the dark clouds unleash their wrath. Yue has a penchant for military-inspired hardware and neutral colours. It’s evident in the offerings from his own MADNESS label. For Yue, the Devil, or madness, is in the details. The Gore-Tex Cruiser Jacket follows the same philosophy. Based on the classic M-65 field parka jacket, the outerwear is fully water- and wind-proof while still remaining lightweight and versatile. Take a closer look and you can see the small touches that sets the jacket apart. The brass hardware, laser-engraved buttons, camo hood lining and corduroy trims among other details give this outerwear an understated yet refined look. In an era of loud fashion statements and sometimes rather garish clothes, Yue proves that it is still possible to make a statement with a muted palette. Of course, it begs the question if the cruiser jacket is worth paying close to a grand for. We had the same thoughts too when we first saw the outerwear during the media preview at Shanghai. But, like the Timberland x MADNESS six-inch mixed media boot, the cruiser jacket quickly grows on you like a second skin. It fits perfectly on the body and is extremely well-made, the sort of jacket that will last you decades if you take care of it. If the cruiser jacket isn’t up your alley, the Timberland x MADNESS Bear Head Down jacket is an option worth exploring. Once again, Yue’s eye for detail reveals itself the closer you look at it. Besides the premium duck down filling, the jacket features a clever three-dimensional woven baffle construction that traps air to keep you warm and snug during the cold days and nights. Somehow, this is achieved with zero stitches, which means that the down will not leak, as some other jackets do after repeated usage. Yue’s MADNESS label might not have built the same cache that other streetwear brands have created but it’s evident that the man does not care for fame or marketing hype, the sort that enables one to charge a premium for its products. Rather, as he briefly reveals during the preview, he just wants to make practical clothes that he would wear. That’s a vision that we can respect. 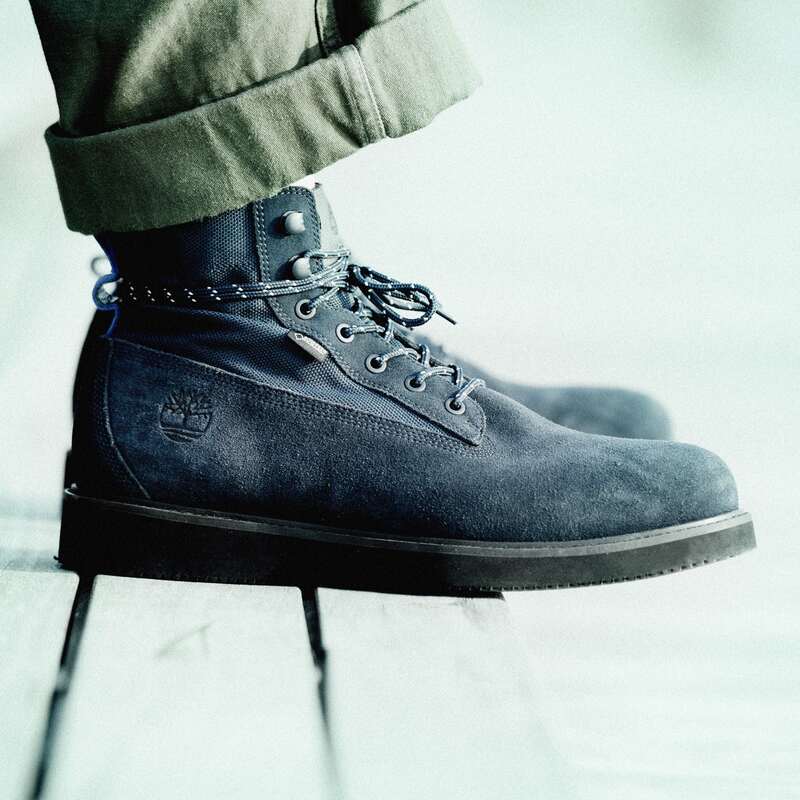 In a mad, mad world, Timberland x MADNESS might just be the sanest collection yet. The collection drops in Singapore on 30 November, Thursday at the Vivocity and ION Orchard Timberland stores, Robinsons The Heeren, Limited Edt Chamber and Limited Edt Vault at 313@somerset.